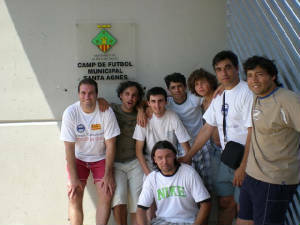 A football team - mainly 5 a side (futsal)- composed by long time friends who love to play football and to have a great time together. 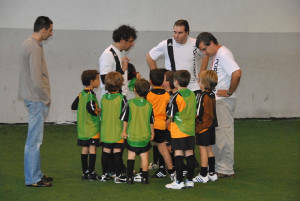 In the team we have players from different generations and very different occupancy, from a sociologist to a musician, including a photographer, a salesman, a financial,...Different but with the same purpose, which is to meet new places and new people, while playing the "beautiful game". We play friendly games every tuesday evening in our "home ground", in S. Mamede (Porto), as well as in our opponents grounds. We have been playing with every kind of teams, including official ones. We play in tournaments too, although we prefer the friendly matches, namely if they are followed by a party with food and drinks. We have been organizing "tours" in Portugal and in Spain because we love to mix football, tourism and friendship with new people. PORTUS 87 because1987 has been our foundation year and at the same time the best year in FC Porto life: European Cup, European SuperCup and Intercontinental Cup Winner. PORTUS 87 because like the mosqueteer Porthos our rule is "one for all, all for one"
First tournament organization: October 2002, Porto, "The City Circuit"
Champions futsal league, July 2003, Porto, "Liga Amizade"
6/11/10- A DAY VERY, VERY, VERY SPECIAL IN THE LIFE OF PORTUS87: FIRST TRAINING OF MINI-PORTUS, OUR SCHOOL! Madrid IV - Back to the city that never sleeps. September 2008 saw Portus87 return to "our second city", for the fourth time. 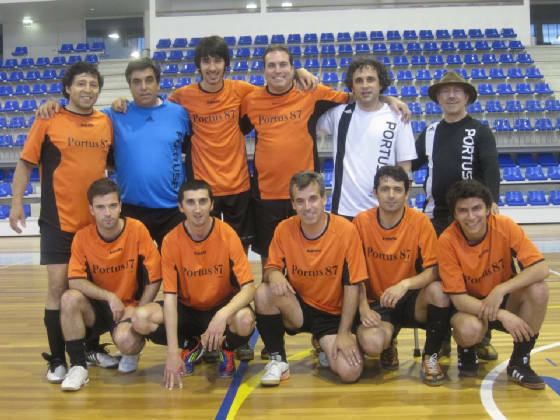 And as usual we had a great time and sporting sucess, winning the ANEFS MADRID TOURNAMENT, beating ANEFS (Madrid) and MACCABI (argentinian players). Portus87 in Barcelona, July 2008. Great days of sun, leisure and victory in the 7 a side VISCA CATALUNYA TOURNAMENT. 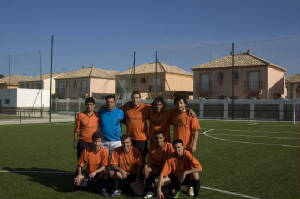 20th Anniversary party and special site, October 2008: as expected in such a special moment Portus87 celebrated in a fantastic way 20 years of pure pleasure playing football together. A landmark! 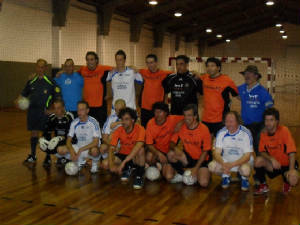 EURO-CUP international futsal tournament took place in July 2004, after the Football European Championship (EURO-2004), at the city of Maia, nearby Porto - Portugal. Played on a weekend, on the 10th and 11th July 2004, it involves 8 futsal teams from all over Europe, and its main objective is to extend the friendship between all football fans present in Portugal for the EURO-2004 and at the same time to enable a space of cultural and sporting meeting between our city and other European cities represented by the participant teams. The torunament works with two-league format in the first day and two different play-off competitions (A and B) in the second day, in order to assure that every team plays a similar number of games. 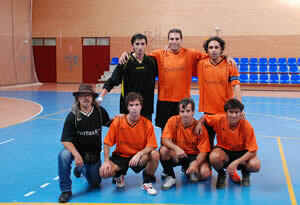 The participant teams are from Portugal, Spain, Belgium, Moldova, Netherlands and England. On the last weekend of July, we make our "tradicional" trip to Foz, a beautiful and cosy seaside resort in Lugo (Galicia) cost. To mix tourism (beach more drinks and good food) with football (a five-a-side tournment) is the main purpose of this weekend. Like usual we spent a great time together and sometimes it also includes our Families. Our team travelled to Belgium and the Netherlands to participate in a futsal international tournament and to play friendly matches, between the 16 th and the 22 th of April 2003. And this tour was a great sucess, in sporting terms as well as in all the other dimensions. We travelled by auto caravan, allowing us to move wherever we want to do what we really enjoy to: playing futsal and meeting new places and people.